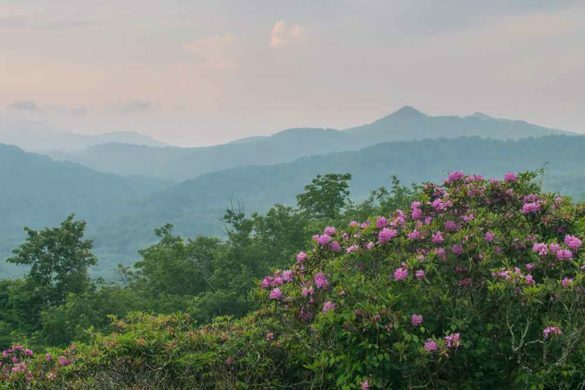 North Carolina is rich in history with museums, battlefields, and natural sites. 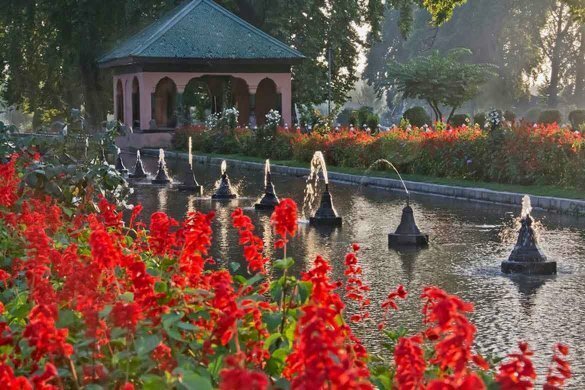 It is also rich in public gardens with over 100 across the state. 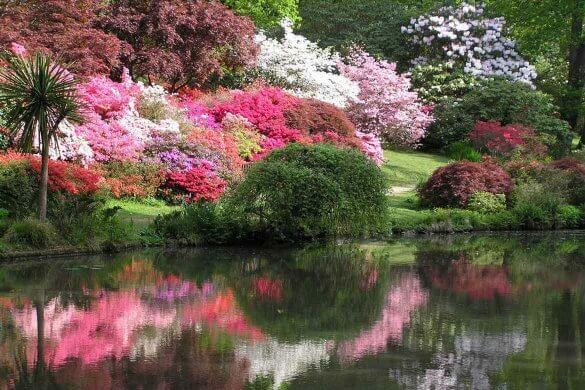 And there is one town in the state that has a unique blend of history with gardens – Winston-Salem, North Carolina. 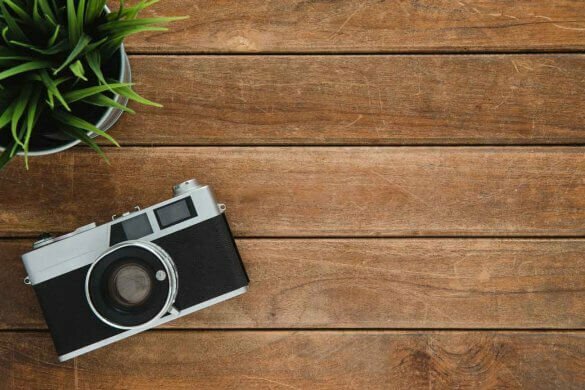 Old Salem Museums & Gardens, the Moravian-built enclave just south of downtown, is known for its historic buildings and living history programs. 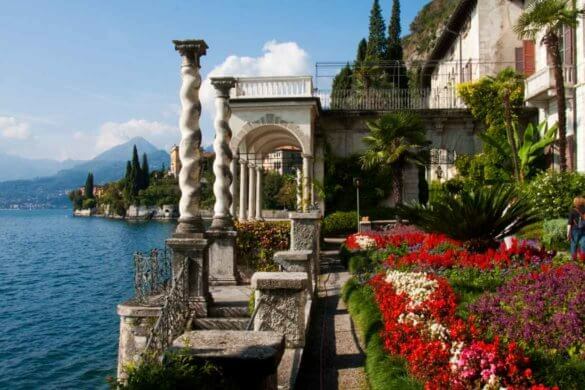 It’s also known for its gardens, hence the second half of the name. The Moravians were naturalists and many in the faith were botanists. 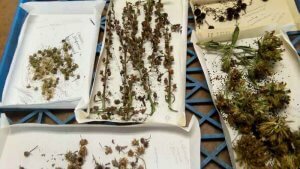 They were also meticulous record keepers who took copious notes on the flora and fauna as they mapped out their new 100,000-acre settlement in what was then called Wachovia. When the Moravians arrived in the 1750s, this faith-based group set up several congregations (towns) across the settlement. The town of Salem was founded in 1766 to serve as the urban hub for the outlying, mostly agricultural, congregations in Wachovia. The Salem community included shops, tradesmen, and residential homes. Each home included a backyard kitchen garden for growing vegetables, herbs and flowers. 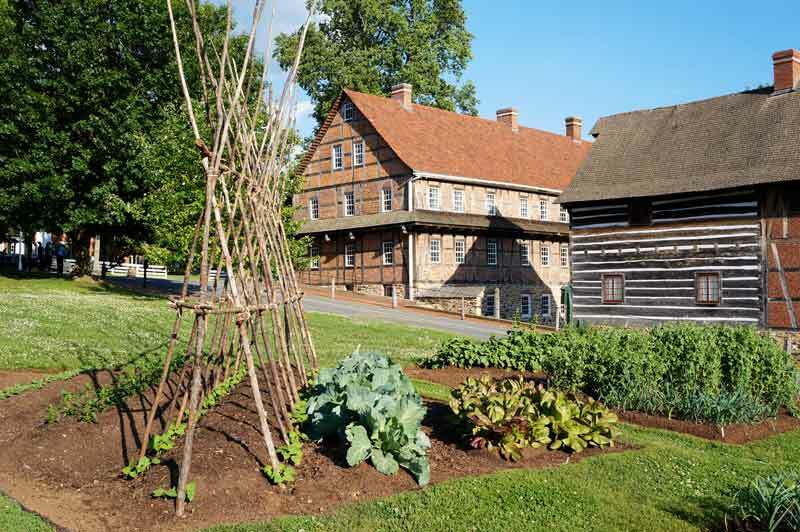 Today, these restored home gardens in Old Salem interpret the time period of 1766 to 1856 when the Moravian’s practiced sustainable gardening methods that are still relevant today—seed saving, open pollination and land-use management. The crops grown are used in museum kitchens, and the seeds are saved for replanting, and sharing with others. Plan to spend the day, or more, in Old Salem for the immersive experience that makes the community unique. The Miksch House (1771) was the first privately owned home in Salem. 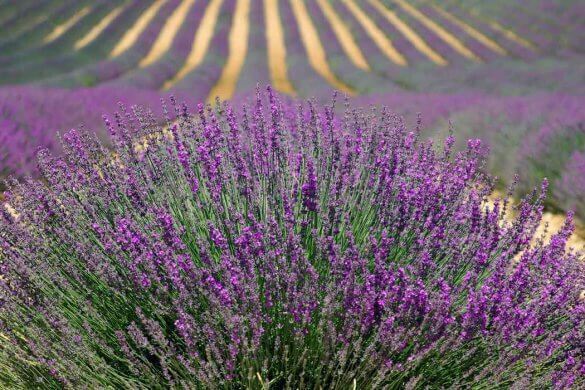 The original owner was trained as a gardener in 18th century Holland and practiced a “seed to soil to supper” style of horticulture. The backyard garden takes up most of the lot and is a mass of garden squares filled with vegetables, medicinal herbs and flowers. Espaliered pear, peach and cherry trees grow along the edges and muscadines cling to the fence. Cooking demos inside the house use much of the harvest. 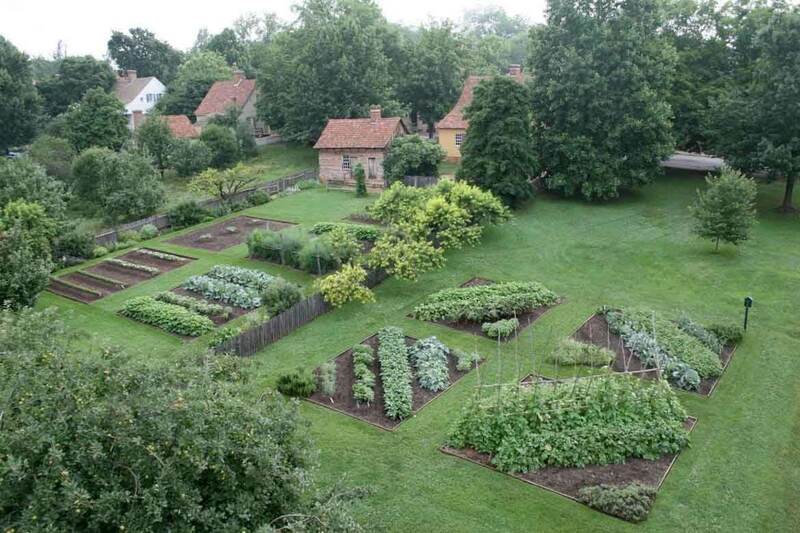 The Single Brothers’ Garden is the largest interpreted garden in Old Salem. This kitchen garden was needed to feed the 60 men and boys who lived and worked in the trade school building. The entire back lot was terraced with gardens down the hill to the creek . The garden today, though smaller, features a wide selection of crops ranging from squash, field peas and cabbage to melon, potatoes and horseradish. An impressive exhibit inside the building showcases the water system the Moravians built for the town in 1778 using “pipes” carved from tree trunks. The Triebel Lot Garden grows many of the plants that were on the original plant list noted by the Moravians. The diagonal row layout was unusual for the day and was perhaps used to solve drainage or sunlight problems. As you stroll the streets of Old Salem, you’ll discover other garden settings. The Schroeter Garden is planted in heirloom vegetables. 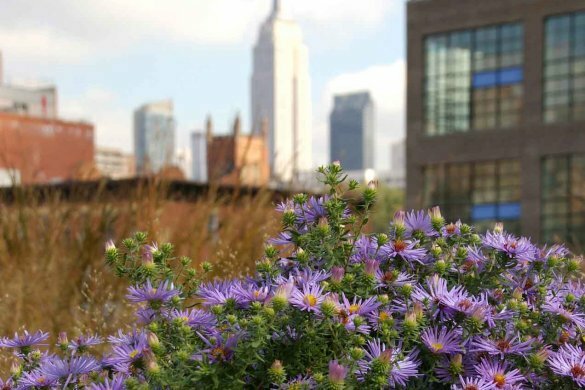 The Levering Garden showcases terraces with flowers and vegetables. The Leinback Garden at one time housed an orchard, terraced garden, apiaries and chickens. A rose on the lot is from one planted in 1823. The square in the heart of town includes many trees—cedars, lindens, tulip poplars, and catalpas. God’s Acre Cemetery, where Moravians have been buried for generations including the original founders of the settlement, features masses of redwood trees that blanket the grounds when the needles drop each fall. Burial stones, all the same size, shape and color, are arranged according to when a member dies (no family plots here) and are separated into the Moravian choir order – married brothers, married sisters, single brothers, single sisters – with men on one side of the path and women on the other. 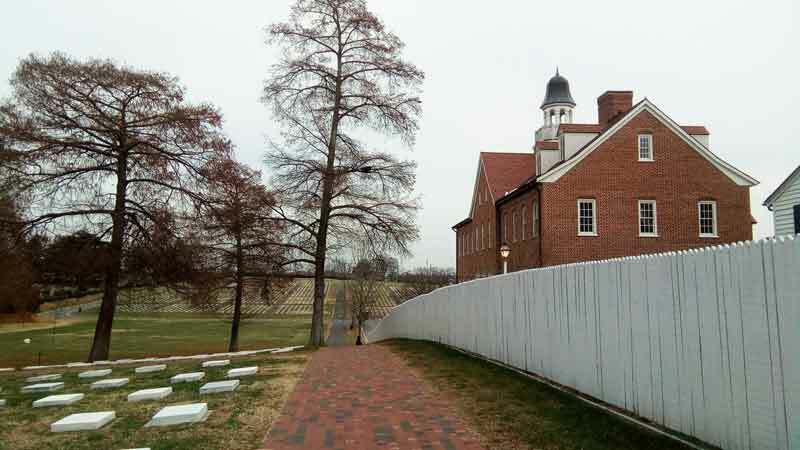 Pick up a copy of “A Walking Guide to the Trees of Old Salem” at the visitors center for more exploration. 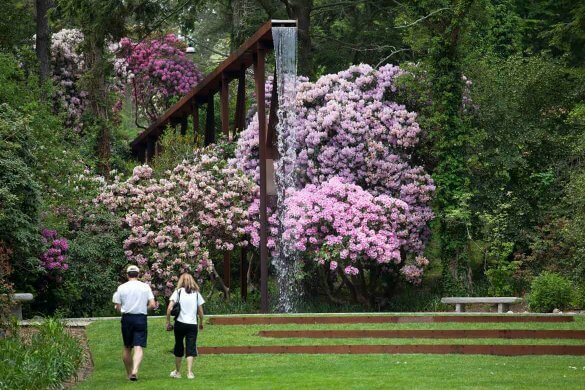 You can delve deeper into the Old Salem historic gardens by taking a garden tour or a trees of Salem tour, offered throughout the week mid-April until November. Old Salem is able to grow these historic plants due to an impressive seed saving program by their horticulture department. 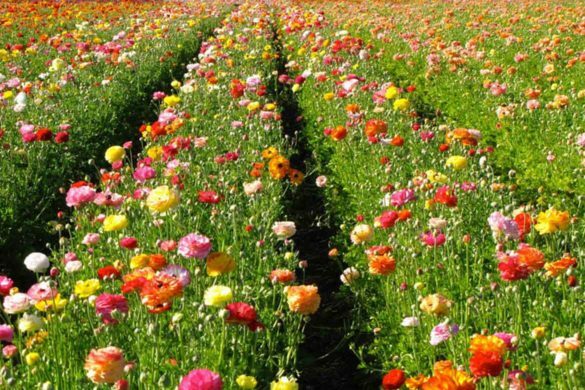 By allowing the plants to go to seed, they are able to save the seed and replant these heirloom varieties once grown by the Moravians. They also share the seeds in the gift shop, through the Seed Savers Exchange and at the annual seed swap in January. On the other side of Winston-Salem, you can venture to a different time period at the Reynolda Gardens. 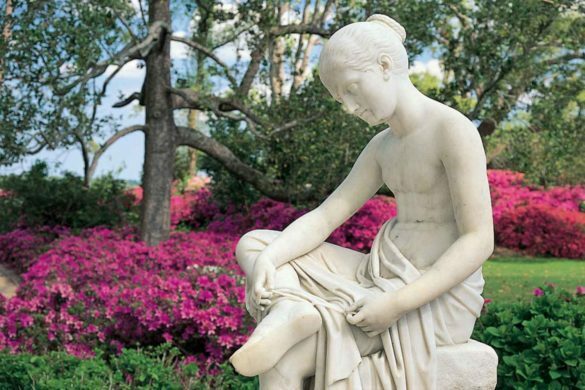 These formal gardens were originally part of the one-time 1,067-acre estate of Mr. and Mrs. R.J. Reynolds, who made their fortune in the time of tobacco. It was the era of the American Country House movement when the Reynolds’ grand 64-room home was completed in 1917. While R.J. died 6 months after moving in, his heirs lived in the house until 1964. Soon after, the house was converted to the Reynolda House Museum of American Art, a showcase for American art from 1755 to today. 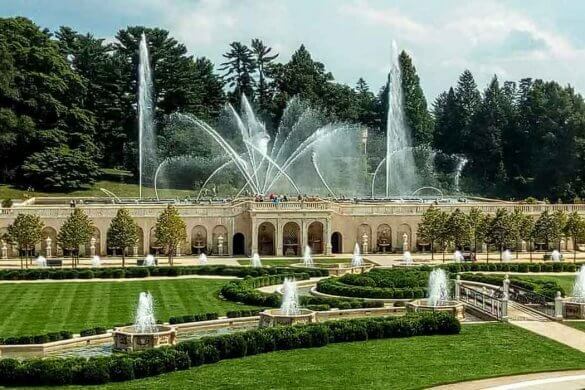 In addition to building the home and support buildings for their farm estate, Mrs. Reynolds (Katharine) commissioned landscape architect Thomas W. Sears to complete the formal gardens. 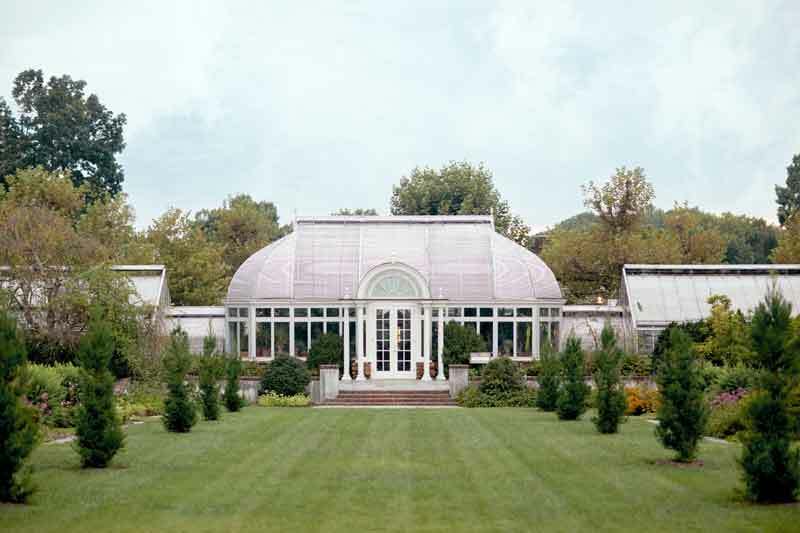 Even before the home was completed, the Lord and Burnham Palm House was erected in 1913 as the centerpiece of the gardens. 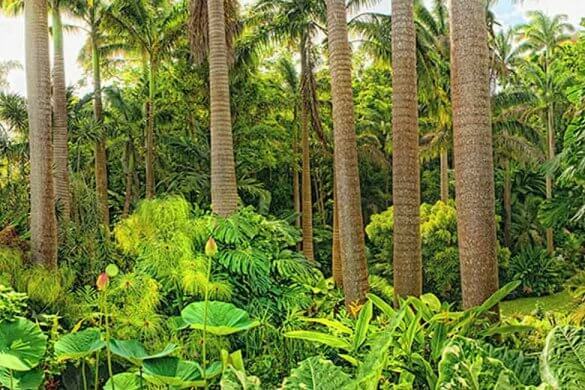 The Palm House now houses exotic plants-tropical and cactus varieties-along with a well-stocked garden gift shop. 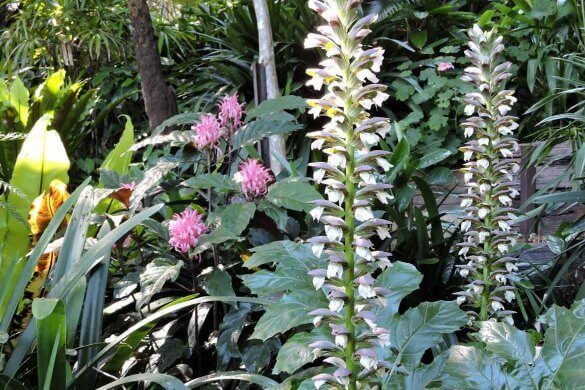 Extending in front of this glass building is a series of gardens that display thousands of plants year round. 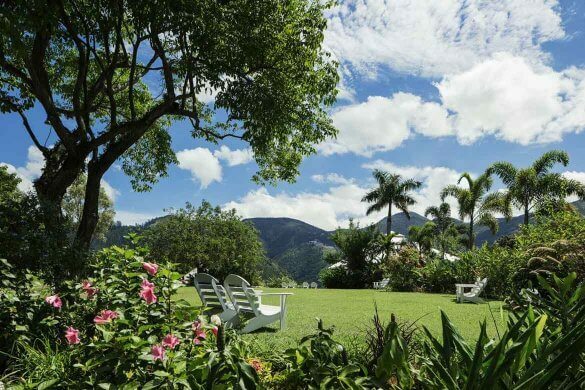 The 4-acre garden is divided into two parts and is separated by boxwood hedges, open-air teahouses and vine-covered pergolas. 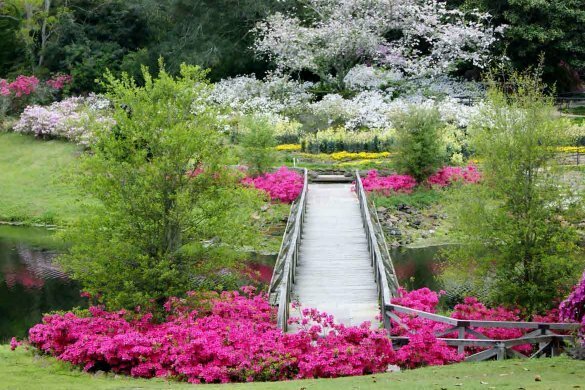 The gardens in the front half include a sunken garden, a rose garden with over 300 bushes, a blue and yellow garden with plants appropriately colored, and a pink and white garden with various shades of these colors. A large lawn runs down the middle. The back portion of the gardens features annual vegetables and flowers, a children’s garden, and another rose garden with over 800 bushes, including many of the latest rose introductions. The gardens also contain nearby wetlands, a large meadow, and over two miles of public trails on the Reynolda grounds. An eclectic mix of restaurants and shops is housed in many of the estate’s historic buildings. 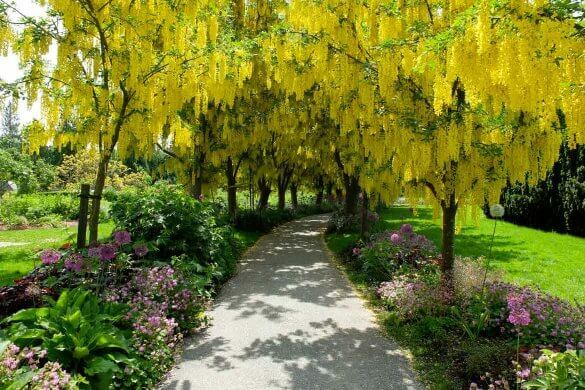 Admission is free for the gardens. While on the estate, you will want to spend time touring the Reynolda House Museum of American Art (admission is charged.) The outside of the house has the look and charm of a bungalow with a glass-enclosed porch that extends across the front. Inside, the house is decorated in an “Old English” style, a mix of Tudor, Elizabethan and Jacobean styles. Back when it first opened, Good Housekeeping magazine called it a style that appealed to “Big Men” with interests in life. The center of the home is a two-story reception hall with a balcony around it leading to the many bedrooms. 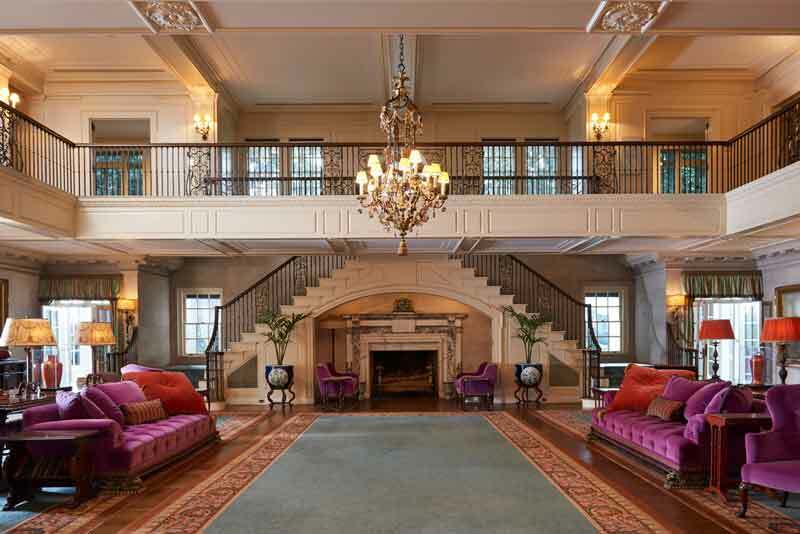 Adjacent to the reception hall is the formal dining room with ornate fireplace and marble top furnishings. 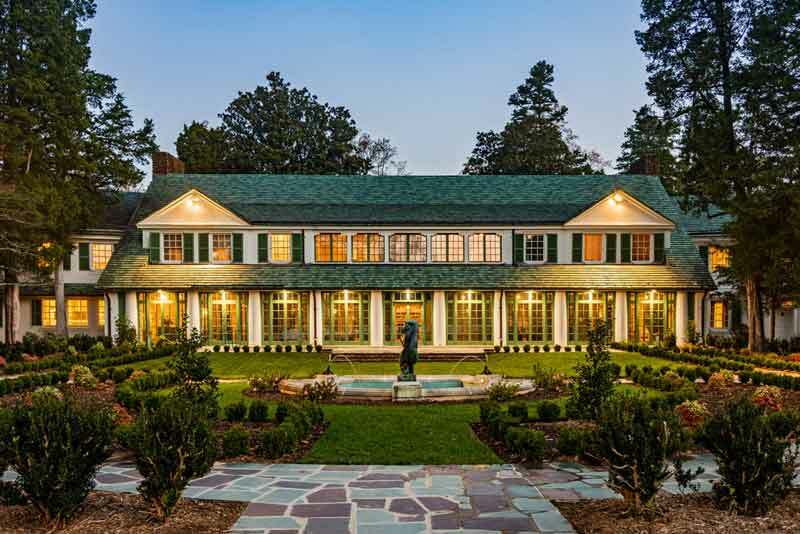 President Harry Truman dined for lunch here in 1951 while at Reynolda to break ground for Wake Forest University’s new campus. A gift of 300 acres of land was given by the Babcock’s, heirs of the Reynolds family, to convince the university to relocate from Wake Forest, North Carolina, to the other side of the state. Each room in the house tour brings a new surprise; a basement recreation area with shooting gallery and squash court; an indoor pool with glass top roof that opens; an Inglenook seating area in the reception hall; and a beautiful sun porch that extends along the back of the house overlooking the grounds that once included a small lake “Katharine” named for Mrs. Reynolds. 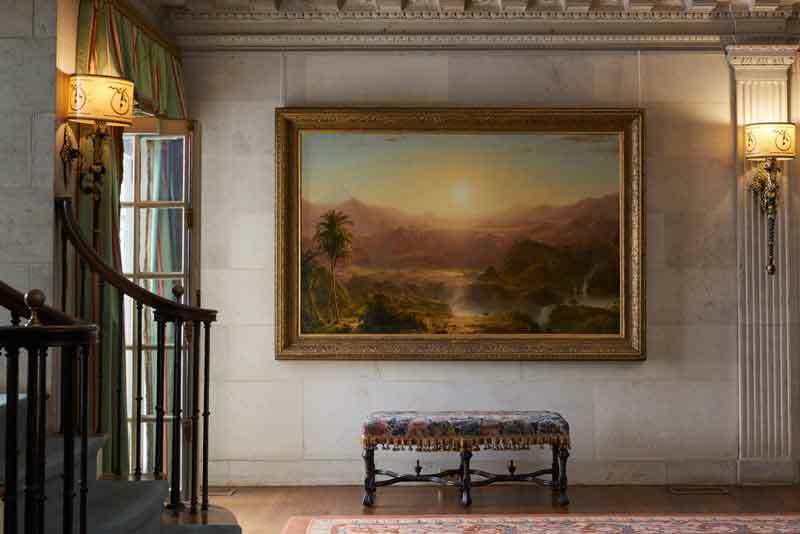 What started as an art collection of nine works hanging in the house has transformed into the largest collection of American art in the Southeast. The modern-style Babcock Wing added in 2005 houses temporary art exhibitions, classroom space, an auditorium for programs and a facility for archival storage and preservation. Both the house museum and gardens are now affiliated with Wake Forest University. Dining options are many in the town with a don’t miss favorite in Old Salem. 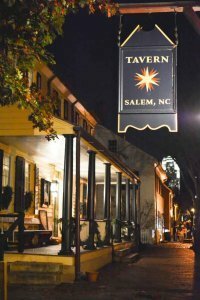 The Tavern in Old Salem is housed in the 1816 annex of the original 1784 tavern, and serves dishes inspired by the Moravians living in Salem in the 1800s. Waitstaff wear Moravian attire of the era to complete the experience offered here. Reservations are encouraged. No trip to Old Salem is complete without a stop at Winkler Bakery for authentic sugar cake, bread and Moravian cookies, a thin and crispy wafer-type of cookie made with exotic spices. Grab extras for your trip home as you’ll eat half of these before you make it back to your car. Downtown’s historic West End includes an eclectic collection of antique and consignment shops, restaurants and art galleries. In season, take a carriage ride through the district featuring buildings from 1890-1930. The R.J. Reynolds building towers over downtown and was the Art Deco prototype of the Empire State Building in New York City. Today it houses the Cardinal Hotel, Winston-Salem’s first boutique hotel. Meticulous care was taken to keep many of the historic elements of the hotel’s lobby, including its gold leaf, marble floors and brass accents. On the northwest edge of Winston-Salem is Bethania, another Moravian town with historic landscapes and a walking trails. Closer to town is Bethabara Park, the location of the first Moravian settlement in the county. Tours include a German church, reconstructed fort, medicine garden and a nature preserve. 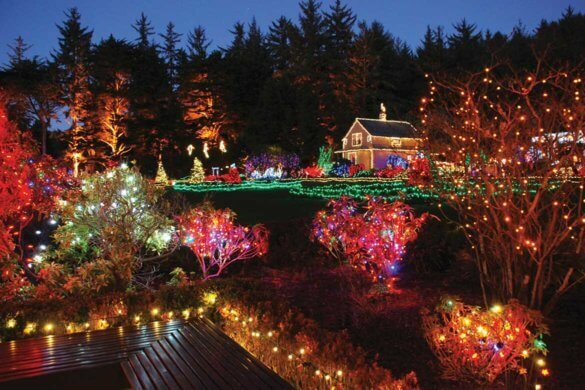 Featured image – The Miksch and Triebel Gardens in Old Salem / courtesy of Old Salem. Beverly Hurley is the editor of Garden Destinations and www.TriangleGardener.com. When she is not gardening, she loves to travel.